Reading — This is Lit! Want to know what we're going to read next? Find out here! 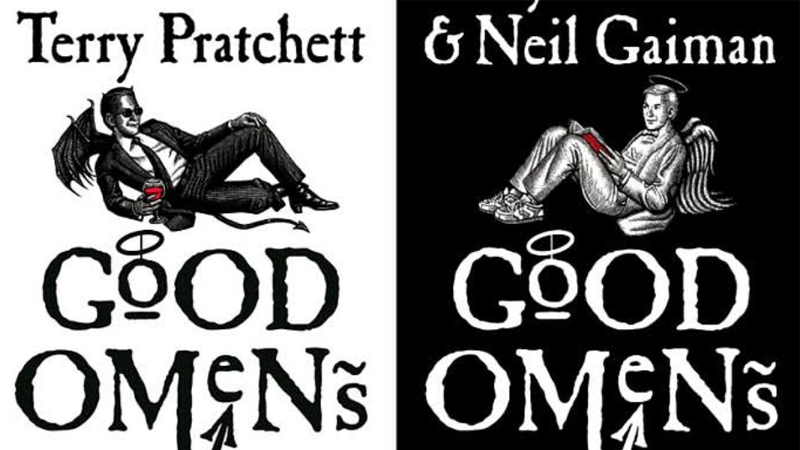 In episode two, Casye and Elizabeth will discuss one of their favorite books, Good Omens: The Nice & Accurate Prophecies of Agnes Nutter, Witch by the incomparable Neil Gaiman and Terry Pratchett. If you have never read this book before, you are in for a treat! The book was written in the late 80's, so there are things in it that some youngsters won't understand, like landlines, telephone sales people, cassettes, radios that aren't in cars, and little-to-no internet. What could possibly go wrong when a demon and an angel lose the antichrist? A lot, actually, and it's hilarious.